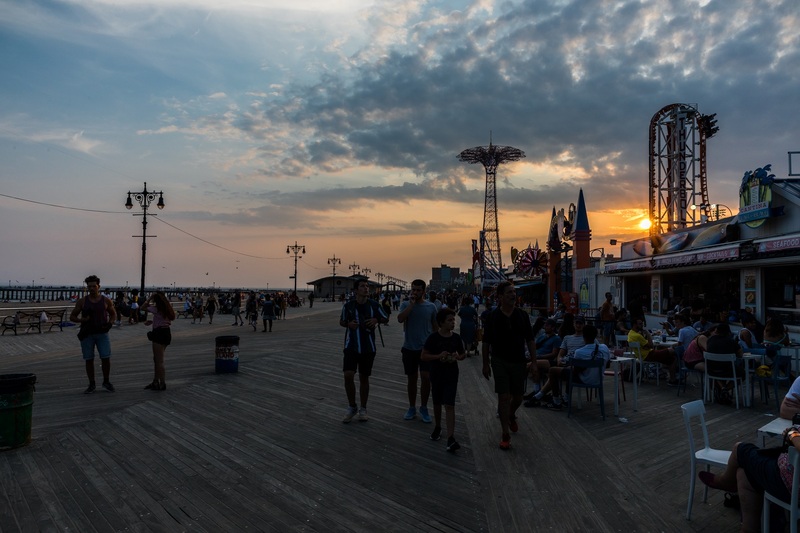 Responding to protests by residents of Coney Island and Brighton Beach over the reconstruction of the historic Reigelmann Boardwalk, officials from the New York City Parks Department are vigorously defending the controversial project. In an email to the Brooklyn Eagle, Parks Department spokesperson Maeri Ferguson wrote that the new boardwalk will be environmentally friendly and will be better able to withstand future natural disasters like Superstorm Sandy. “The new boardwalk will mirror the look and feel of a traditional boardwalk while adding critical strength and resilience – which will protect the Coney Island community and stand up to floods and hurricanes,” Ferguson wrote in the email. Reconstruction of the 900,000 square foot Reigelmann Boardwalk began in November and is expected to be completed by the start of beach season in 2016. The boardwalk, which stretches for 2.7 miles from West 37th Street in Coney Island to Corbin Place in Brighton Beach, opened in 1923. Parts of the massive reconstruction project have already been completed, including the Steeplechase Pier. The 92-year-old boardwalk is being renovated with recycled plastic lumber boards laid over a concrete support structure. Recycled plastic lumber has a long life expectancy, is sustainable and reduces plastic entering landfills or New York City waterways, according to the Parks Department. The entire project is adhering to the city’s policy of environmentally-friendly construction, Ferguson wrote. “The city has a long-standing policy of reducing the use of tropical hardwoods. In fact, to reconstruct the entire boardwalk with tropical hardwoods would destroy thousands of acres of rainforest and contribute to the very climate change that destroyed the boardwalk in the first place,” Ferguson said. Residents from Coney Island and Brighton Beach turned out in force for the Jan. 18 rally to demand that the Parks Dept. halt the project. The rally was organized by council members Mark Treyger (D-Coney Island-Gravesend-Bensonhurst) and Chaim Deutsch (D-Sheepshead Bay-Manhattan Beach). The protesters demanded that the city immediately halt ongoing work on the boardwalk, charging that the work will irrevocably alter the character of the boardwalk and that the new boardwalk would not be able to withstand natural disasters like hurricanes.